First Listen: Thurston Moore, 'Demolished Thoughts' With his introspective, Beck-produced Demolished Thoughts, the Sonic Youth singer-guitarist has made one of his most personal and lyrically earnest works yet. 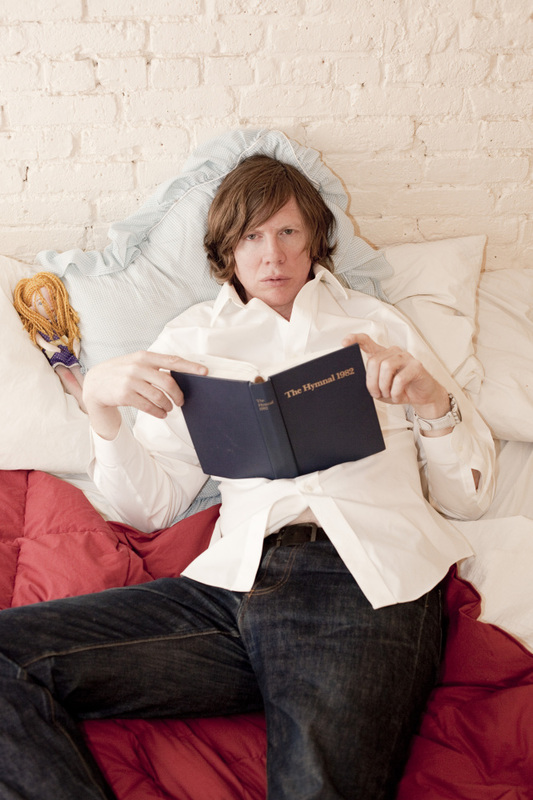 Thurston Moore's introspective new album Demolished Thoughts comes out May 24. 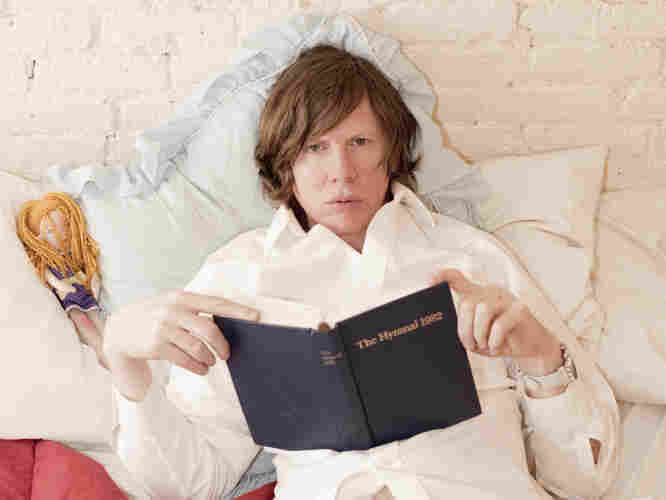 When news surfaced last year that Thurston Moore had hired Beck to produce his new album, it was easy to imagine their collaboration taking one of two paths: They could go loud, or they could go quiet. Considering the body of work the two iconoclastic musicians have amassed over the years, either would have made sense. For nearly 30 years with Sonic Youth, Moore has created everything from eccentric pop tunes to lengthy rock-outs and free-form noise experimentation, and he's earned the freedom to explore his esoteric musical interests in various side projects. Similarly, Beck has been known to toggle back and forth between rambunctious, hip-hop-infused rock and moody, cosmic folk. For Demolished Thoughts — out May 24 — Moore went the latter route, eschewing the tension and noise for an introspective acoustic sound. His songs here are about as lyrically earnest and evocative as anything he's written. "Simple pleasures strike like lighting, scratches spell her name / Thunder demons swipe her halo and then they run away / But I know better than to let her go," he sings in "Benediction," an ode to the stability of love. At the song's center are layered guitar textures formed around open tunings that ring out underneath Moore's cool, composed vocal delivery. While Beck's influence is subtle, his presence is felt. Demolished Thoughts is, in some sense, the twin of Beck's own album Sea Change — if not in theme (Beck chronicled the ravages of a failed relationship), then at least in terms of existential contemplation and sonic template. The music is both hauntingly ethereal, as in "Space," and aggressively impassioned, as in the slack-stringed acoustic rocker "Circulation," which swells into a dissonant vamp of strings, thundering toms and power chords. Demolished Thoughts was written over a two-year period and recorded this past fall and winter at Beck's Los Angeles studio and in Northampton, Mass., where Moore lives with his wife, Sonic Youth bassist Kim Gordon. It re-teams Moore with the violinist Samara Lubelski, who brings a swooning quality to every song. Together with Mary Lattimore's exquisite harp, songs like "Blood Never Lies" and "Illuminate" capture a sort of sprawling autumnal folksiness. The record also features Bill Nace on guitar, as well as Beck regulars Bram Inscore on bass, Joey Waronker on drums, and even Beck himself. The end result is a beautifully nuanced album that not only reveals a personal side to Thurston Moore's songwriting, but also sits alongside his strongest solo work.